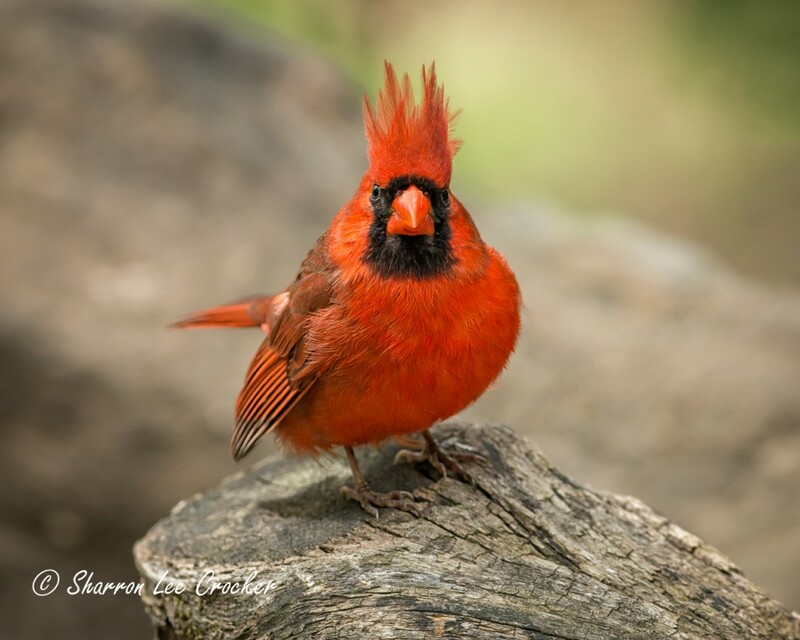 PWP Member Sharron Crocker shares two photographs and the stories behind them. In 2009 I bought my first DSLR – a Canon Rebel – and my first long lens – a Tamron 18-270 – to start photographing birds. In August of 2009 my husband died suddenly in an accident. It took me several years to get back into life, and bird photography was a big part of my recovery. It got me out of the house, into the country and into Central Park, where I spent much needed time with nature. By going into the park regularly I started to make new friends who also shared a passion for birds. I now have a bird network – we share information and even take trips together to photograph birds like Snowy Owls and Peregrine Falcons. While I go out of my way to photograph the larger birds, this guy stood on a rock in Central Park for several minutes staring at me – who could resist such a face? Taken with a Canon 5D Mark III and prime 400mm 5.6. I went on a PWP outing to Grand Central Station with Donna Rocco et al. Because of the low light situation I brought my nifty fifty 1.4 lens and my 5D Mark III. I shoot mostly with zooms now so it was a challenge to get used to composing with my legs! I had a great time and a lovely lunch with the group, then hit the streets. Since I shoot pretty much everything, it is sometimes hard to figure out what I am doing, but becauseI am working on a project to make a Blurb book I have been looking over my body of work and realize there are certain subjects that I revisit over and over. Shadows and silhouettes have always fascinated me. The sun was low and I saw these great long shadows. I stopped to take a few shots. 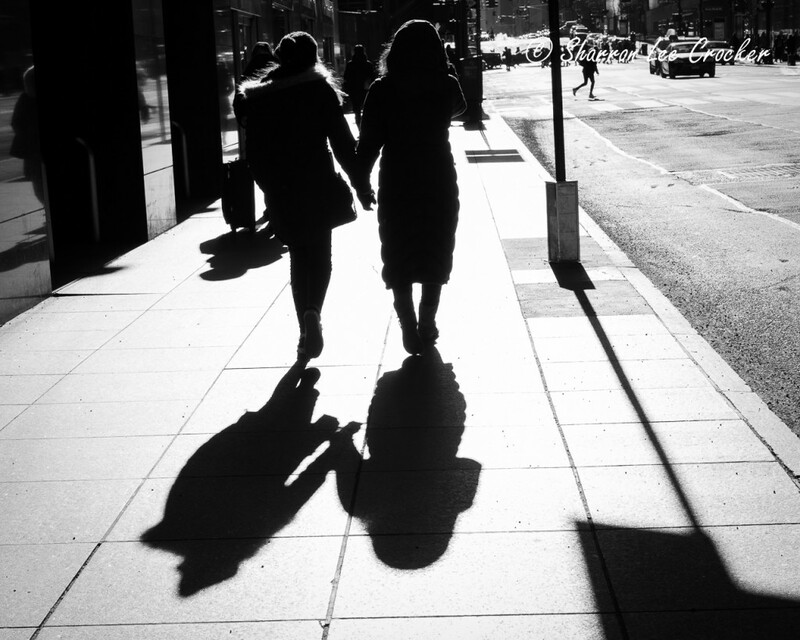 It was only after the fact that I saw these two women were holding hands – and it makes the shot!